There are many reasons to get professional pictures taken outside of weddings and special events. I know I’m not alone when I get excited to see beautiful pictures that my friends and family have taken for their holiday cards, new babies, etc. I met photographer Anna D Bruce at a networking event last spring and I was immediately in love with her Modern Glamour portraits sessions. Every woman who goes into her studio gets to feel like a model for the day, complete with professional hair and make-up, and afterwards will have stunning pictures. From Anna: How I got here today in my photography has been a journey. A journey of life occurrences, trial and error and chance. I never envisioned as a little girl that I would be a photographer. I was born and raised in Caracas, Venezuela and at the age of 14 I moved to California to live with my aunt. This was an unexpected life change for me, but a change that made me realize I wanted to document more of my life. I wanted to have photos of everything. In high school I took an introductory photo class in which my brother told me that I was very good and should pursue photography instead of psychology in college. I went to school and studied art with concentration on photography. When I started my business in 2010, I was an “everything” photographer meaning that I would pretty much photograph everything. I quickly learned where I fit in, what I enjoyed and what I knew I was no good at. After much narrowing down I discovered what I deep down always knew- that I was a portrait photographer. I have always enjoyed photographing people. I came across glamour last summer when I knew I wasn’t going to be doing weddings anymore. I was intrigued by modern glamour and decided to revamp my brand. Modern glamour is basically making the everyday woman feel like a fashion model for a day and have beautiful images for a lifetime. Its like a massage for your ego 🙂 I know that sounds weird but when you look at photos of yourself looking all hot and fashion modely you can’t help but get an ego boost. I work with professional hair and makeup artists in the area to glam my clients up. 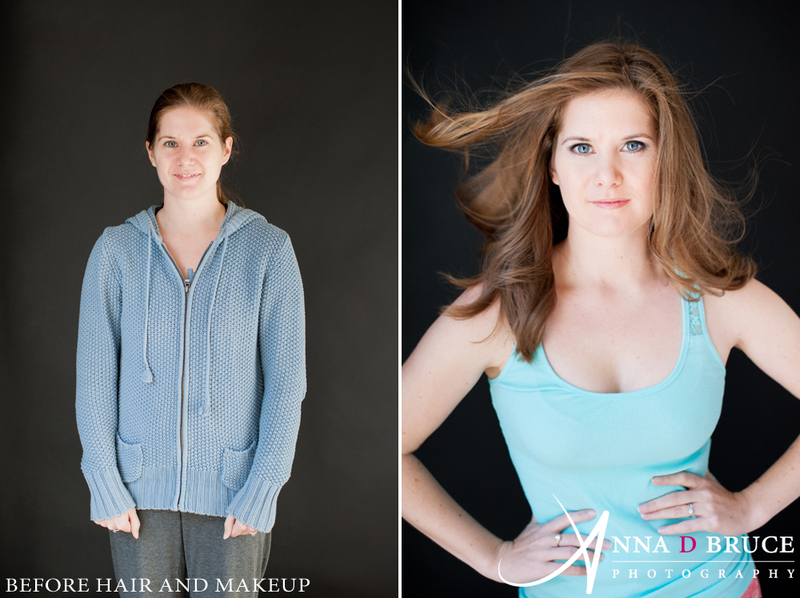 I coach my clients on what to wear and how to prepare beauty wise for the session.